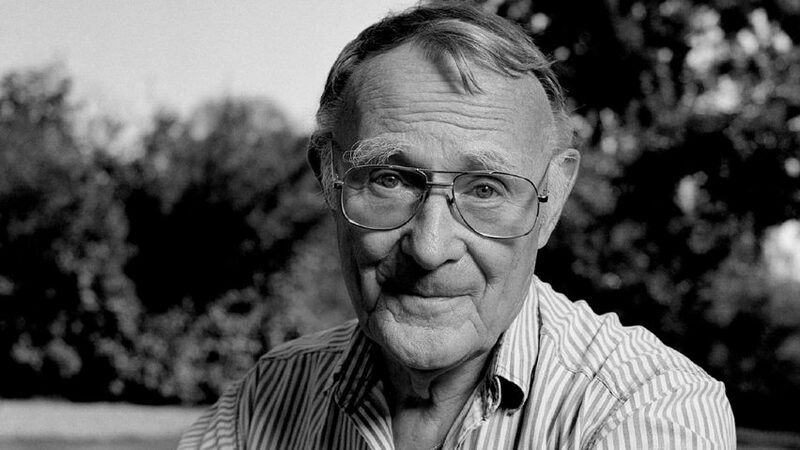 Ingvar Kamprad, founder of Swedish furniture giant IKEA, has died, the company has announced. "The founder of IKEA and one of the greatest entrepreneurs of the 20th century, Ingvar Kamprad, has passed away at the age of 91," the company announced on its Instagram account. He died peacefully at home, the company said. The frugal billionaire, who was once listed as the eleventh-richest person in the world, started IKEA in 1943 when he was 18 years old. Over his lifetime built it into the world's largest and most influential furniture retailer, with sales of around €36 billion in 2016 through stores in 49 countries. IKEA brought contemporary design to the masses and revolutionised product design, manufacturing and distribution. It transformed domestic taste in the UK, partly thanks to its cheeky "Chuck out your Chintz" ad campaign from 1996. The brand's influence has if anything increased in recent years: the firm was named the most newsworthy force in global design by Dezeen late last year, when it topped Dezeen Hot List. Kamprad was notoriously frugal, turning up to meetings with documents in plastic bags according to people who met him, and buying clothes from second-hand stores. He was also a Nazi sympathiser in his early life and spent several decades living as a tax exile. Kamprad was born in Småland, southern Sweden in 1926 and raised on a farm. He started selling matches to neighbours when he was five and soon expanded to seeds, greeting cards and Christmas decorations, according to IKEA's website. He named his company by the acronym IKEA after the initials of his name plus Elmtaryd, the name of the farm, and Agunnaryd, the nearest village. He initially sold products mostly by mail order, moving into furniture retailing in the 1940s and 50s, and opening his first store in Älmhult in 1958. Around this time he started to develop the self-assembly products with which the company would become synonymous. The first was the Lövet side table, commissioned in 1956 from designer Gillis Lundgren who, according to legend, sawed the legs off the product so he could fit it in his car, thereby inventing flat-pack furniture. Stores outside Sweden began to open in the 1960s, initially in Norway and Denmark and later across Europe, with rapid expansion beyond Europe taking place from the 1980s. Kamprad's commercial genius was to develop attractive products that were extremely cheap. His approach was characterised by a relentless drive to reduce cost and outsource as much effort as possible to the consumer, hence the warehouse-style stores at out-of-town locations, where customers pick up flat-pack boxes, drive them home and assemble them themselves. However the company developed something of a dull, cheapskate reputation, and faced accusations of exploitation. "He was a master of innovation, and I think maybe IKEA was a bit dependant on his leadership and innovation," Jesper Brodin, IKEA's head of range and supply, told Dezeen last year. "So we had kill switches all over; we were very good at killing ideas." Recently however the firm has switched direction, focusing more on quality, design and sustainability. Kamprad stepped down from the company's board in 2013, citing a "generational shift" at the firm. Around the same time Marcus Engman was appointed head of design at the brand. "We could be misinterpreted as a low-price company doing cheap stuff," Engman told Dezeen in an exclusive interview in 2015. "But we're all about affordability. There's a big difference. And this is one of my crusades." IKEA topped Dezeen Hot List in 2017 thanks to a vast range of newsworthy initiatives, including the introduction of snap-together furnishings that do away with fiddly allen keys, a collection of no-waste products, and a witty response to Balenciaga's £1,705 take on the iconic blue Frakta bag.